An external antenna can help to improve the speed and reliability of your 4G home broadband connection. If you’re using a 4G-based home broadband service like Three’s HomeFi, EE’s 4GEE Home or Vodafone’s GigaCube, attaching an external antenna to your router can help to improve both the speed and reliability of your internet connection. When choosing an external antenna, there’s a wide range of different antenna options available for purchase. To start with, you’ll need to decide whether you want to buy an omni-directional or a directional antenna. You should also check the frequency ranges supported by the antenna, the number of connectors it has and the polarisation of the antenna. 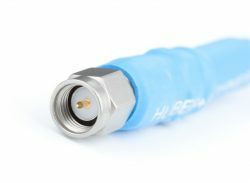 The type of connector used by the antenna is also worth checking (most 4G routers now use a SMA connector but some use a TS9, CRC9 or FME connector). 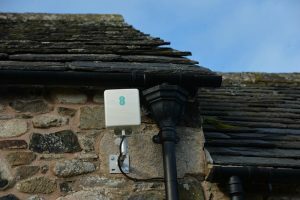 In this article, we’ll discuss how you can use an external antenna to improve your 4G home broadband service and signal. We’ll look at router compatibility and the key things you should think about when choosing an external antenna for your 4G router. We’ll also present our recommended options if you’re looking to buy an external antenna for use in the UK. In the past year, 4G technology (and soon to be 5G technology) has increasingly become a viable alternative to receiving fixed home broadband through a phone line or cable. Nowadays, you can get unlimited home broadband through a 4G connection from as little as £22/month through Three’s HomeFi service (this comes with the Huawei B311 router included). 4G home broadband is also available through EE’s 4GEE Home Router and through Vodafone’s GigaCube service (comes with the Huawei B528 router). Alternatively, some people decide to buy a 4G router independently of their network such as the Huawei B525. To get maximum performance from a 4G home broadband connection, it’s sometimes worth investing in an external antenna. This can increase the signal strength of your 4G connection, giving faster download speeds and a more reliable connection. 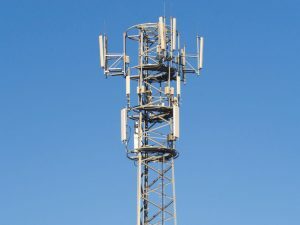 In this article, we’ll discuss external antennas for 4G broadband, how you can choose one and how it can help you with the speed of your connection. 1. Are download speeds being limited by your 4G connection, or is it the Wi-Fi signal strength between your device and the router? There are two things that will affect the download speed on your device: the quality of your 4G signal and the strength of the Wi-Fi connection between your router and the device. Before deciding what to do, it’s worth isolating these two factors. For instance, place your device right next to the router or attach a wired Ethernet cable to remove any impact from Wi-Fi signal loss. If it’s the Wi-Fi signal that’s causing a reduction in your download speed, you should look into mesh networking technology for Wi-Fi instead (e.g. with a solution such as BT Whole Home Wi-Fi). 2. Test out different placements for your 4G broadband router. The best place to put your router is close to a window (ideally, a window that faces in the direction of your nearest phone mast). An upstairs window will usually also work better than a downstairs window as there will be fewer obstructions in the way between the mast and your router. 3. Upgrading your 4G router may improve performance. For instance, Three’s HomeFi service is bundled with a Huawei B311 router. This is limited to Category 4 LTE speeds (up to 150Mbit/s download) and only supports single-band wi-fi connectivity (802.11n). 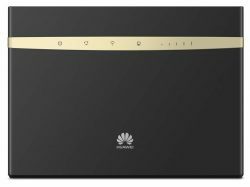 Upgrading to a more powerful router like the Huawei B525 would allow you to access Category 6 LTE speeds (up to 300Mbit/s). In addition, you’ll get dual-band Wi-Fi connectivity (including 802.11ac at 5GHz) plus four Gigabit Ethernet sockets and the ability to plug in a phone to make calls. This may improve the performance of your service by as much as adding an external antenna to it. 4. Double check to make sure your 4G router allows you to use an external antenna. Most 4G home broadband routers will allow you to connect an external antenna. However, this functionality isn’t available on some devices like the Huawei AI Cube B900 and most Mi-Fi devices like the Huawei E5573bs-322. In our opinion, there are six important things you should consider when choosing an external antenna for your 4G broadband service. The first and most important thing to decide is whether you want an omni-directional or a directional antenna. The difference here refers to the direction that 4G mobile signals are coming from and whether the antenna is able to pick up signals from that direction. An omni-directional antenna is able to pick up a mobile signal whichever direction it is coming from. This has benefits if you’re living in an urban or sub-urban area as there will normally be multiple phone masts in different directions around you. Furthermore, because it’s omni-directional, there’s no need to specially align your antenna. The disadvantage is you’ll get lower gain compared to a directional antenna, but we still think it’s a better option for the majority of users. A directional antenna is different in that it can only pick up a mobile signal coming from one direction. This makes it more complex to set up as you’ll need to find out where your nearest mobile mast is. Your antenna will need to be aligned to pick up that signal, something which may require a bit of trial and error. The advantage of a directional antenna is you can maximise the amount of gain from one direction. This makes it a good option for use in rural areas where you have only a poor or marginal signal from one nearby mast. The recommended option for most people. Most effective in urban and sub-urban areas where there are multiple phone masts around you. Most effective in rural areas where there is a marginal signal from one nearby phone mast. Not recommended in other locations. Fairly easy to set up as there’s no need to align your antenna, or to know where the nearest mast is. More complex to set-up. You’ll need to align your directional antenna with the nearest phone mast. Gives a decent amount of gain (signal improvement), but not as much as a directional antenna. Gives the maximum amount of gain from one direction, so useful when you have marginal signal. 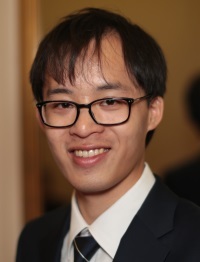 Will generally give a more stable connection as the antenna can communicate with multiple masts. Can result in a less stable connection. The mast you’re using could be overloaded or down for maintenance. Can be fairly low cost (starting from around £10). Generally more expensive than omni-directional. In the vast majority of cases, we’d recommend starting off with an omni-directional antenna. A directional antenna is only worth considering if you’re already tried an omni-directional antenna and are not able to get a good connection with it. When choosing an external antenna, it’s also important to make sure it can pick up the frequencies used by your mobile network to provide the broadband service. In the next few years, additional spectrum at 700MHz and 3400MHz is due to be introduced for 5G mobile services in the UK. For more information, see our guide to mobile network coverage in the UK. You’ll need two external antenna to get the best performance from a modern 4G router. 4G technology uses a technique called Multiple In Multiple Out (MIMO for short) to increase the maximum speed available on the network. The MIMO technique requires your router to use multiple antenna to communicate with the mobile network at the same time. Nowadays, most 4G routers support 2×2 MIMO which means it will use 2 antenna to communicate with the network. For this reason, your router is likely to have two sockets for an external antenna to be connected. You can therefore choose to buy either two separate antenna or you can use a combined dual antenna system which will connect to both ports. Mobile signals are linearly polarised. In other words, they “vibrate” in a certain direction as they travel (sometimes vertically, sometimes horizontally, and sometimes somewhere in between). The effectiveness of your external antenna in being able to pick up that signal depends on how it is matched to the polarisation of that signal. If you’re buying a combined dual-antenna system, it’s best to look for a cross-polarised antenna. This will have two antenna orientated 90° away from each other. This design means the antenna system can effectively pick up a signal regardless of which polarisation the incoming signal has. If you have two separate antenna, look for the ability to rotate your antenna as required. If you’re using an external outdoor antenna, it will normally come bundled with a cable which plugs in to your router. It’s best to choose the shortest possible length of cable for your installation as a cable that’s longer than necessary will cause a reduction in signal strength. Normally, a 5 metre cable is recommended for most installations (the router should be placed as closely as possible to the antenna to accommodate this). Due to signal losses, having a longer cable will cancel out any benefit of having an outdoor antenna. Finally, you should check the type of connector required by your 4G router. Today, most 4G routers use a SMA connector so you should look to buy a SMA antenna. Some routers use different connectors (e.g. the Huawei B618 has a TS9 connector and less commonly, other routers may use a CRC9 or FME connector). It’s worth noting that the Huawei AI Cube B900 router does not allow you to attach an external antenna. 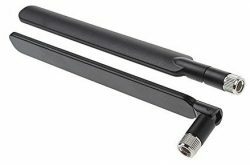 If you’re looking for a fairly simple SMA antenna, Huawei offers an easy-to-install set of 2 external antenna for approximately £15. The two antenna are designed for use indoors and easily screw on to the back of your router to boost the received signal strength. The antenna are omni-directional and should be compatible with any router that uses a SMA connector (including the HomeFi B311, the Huawei B315, the Huawei B525 and the 4GEE Home router). If you’re looking for a more sophisticated antenna that you can mount outdoors, the Poynting XPOL-1 is our current recommendation. 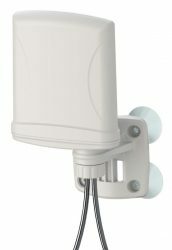 It’s an omni-directional antenna compatible with all UK frequencies, with two antenna hosted in one housing in a cross-polarised configuration. The antenna costs around £65 and has two 5 metre cables terminating in a SMA connector. There are a number of different mounting brackets included within the box for attaching the antenna to a pole, wall or window. If you’re looking for a directional antenna, the Poynting XPOL-2 is worth a look at. It’s priced at around £125 (about double the cost of the Poynting XPOL-1) but otherwise has fairly similar specs to the XPOL-1. 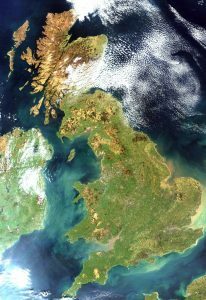 This includes full support for UK frequencies, two SMA antenna in a cross-polarised configuration, two 5 metre cables, etc. As mentioned above, directional antenna require much more work in terms of alignment and configuration so you should also budget in the time required for this. If you’re using EE’s 4GEE Home service, there is a professional 4GEE Antenna installation service available to you. The installation charge for EE’s external antenna is £100. For this, they’ll install and position the antenna on an exterior wall of your property supplying a 5 metre cable from the antenna to your router. For more information, we recommend having a read of the FAQs on the Poynting website. They answer lots of frequently asked questions about topics such as how to install your antenna and where best to place it. The Solwise website also has a good overview of some of the key things to think about when choosing an external 4G antenna.